Established in 1997, Triton Engineers specializes in providing structural services to the marine and waterfront industries. We have designed many noteworthy marine projects ranging from new berthing piers, waterfront repairs, and sheet pile bulkheads - locally, to seawater intakes, outlets and ocean outfalls - internationally. At Triton Engineers we take pride in our legacy as San Diego's premier local marine and waterfront engineering firm - and work tirelessly to design reliable, economical, innovative and buildable solutions for the marine industry. The firm has one goal in mind - to achieve optimal engineering solutions by applying the highest standards of technical expertise, business ethics and professional integrity....ultimately meeting the specific goals and requirements of every client. Through our collaboration process and active participation of the client, we solve the most complex marine projects. Our leadership is highly motivated. Having managed complex marine and offshore engineering projects for both the private and public sectors, Joe brings an added level of detail and expertise to every project, no matter how large or small. He has been involved in all phases of ocean intake and outfall development projects and routinely consults to owners and engineers, and government officials on international projects. He is a proud 'Kiwi' and enjoys following the All Blacks, their national rugby team. Joe’s other passions include food, wine and international travel; not necessarily in that order. 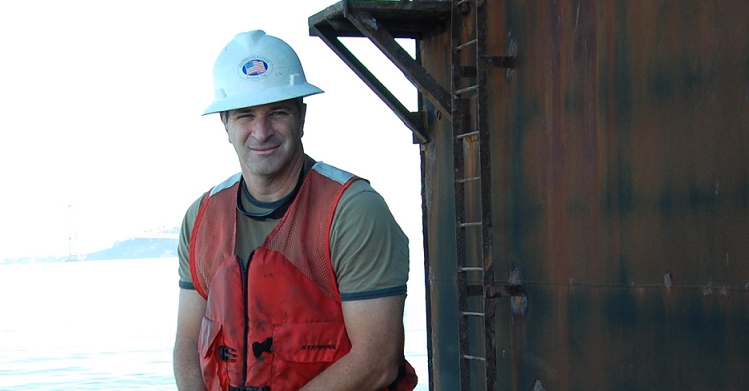 With extensive experience engineering complex marine projects, Troy brings a unique combination of technical knowledge along with a pragmatic design approach. His strong leadership and ability to reason cost-effective design solutions are well regarded by clients ranging from owners & marine contractors to port engineers. When away from the office, Troy is likely attending a myriad of activities with his wife and their three active kids. He admits to enjoying the occasional “sport-free” weekend, however few and far between they have become.